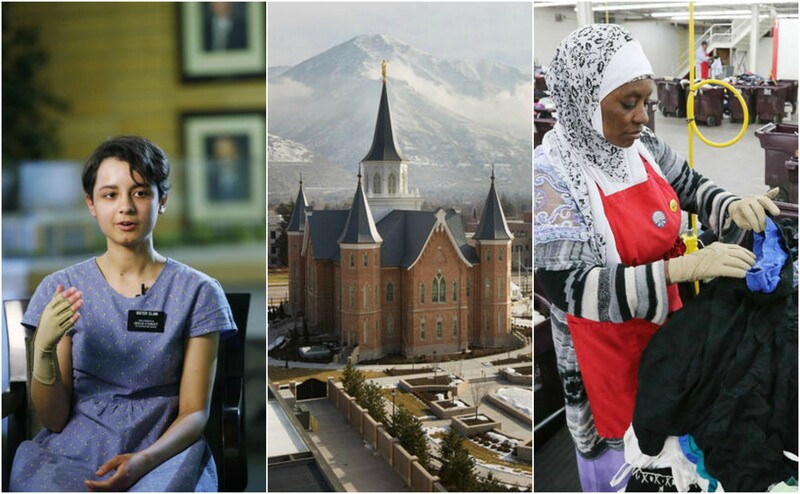 Concern for refugees, the survival of four missionaries in an airport bombing and dedicating the 150th temple were among the top news stories for members of The Church of Jesus Christ of Latter-day Saints in 2016. In the past 12 months, the LDS Church has implemented teaching councils; dedicated eight new temples; launched several new websites; responded to leaked videos; commemorated anniversaries and historic events; contributed to family history projects; continued to speak out for religious freedom; and donated relief supplies to countries affected by natural disasters, among many other worthwhile efforts. The following items, listed in no particular order, include some of the more significant events in 2016 relevant to Latter-day Saints. In her remarks during the General Women’s Session of the church’s 186th Annual General Conference, Relief Society General President Linda K. Burton asked Mormon women to help refugees in their “neighborhoods and communities,” the Deseret News reported. In conjunction with that invitation, the church launched a new website called iwasastranger.lds.org, to help sisters find ways to help those in need. “The Savior knows how it feels to be a refugee — he was one,” Elder Kearon said. The campaign to aid refugees started with a letter issued by the First Presidency in October 2015. President Dieter F. Uchtdorf, second counselor in the First Presidency, expressed his deep sympathy for refugees by recalling his experience as a child in war-torn Germany after World War II and again at the beginning of the Cold War, according to Mormon Newsroom. On the morning of March 22, four LDS missionaries serving in the Paris France Mission, were injured when a bomb exploded at the Brussels airport. Elder Richard Norby, 66, of Lehi, was with Elder Mason Wells, 19, of Sandy, and Elder Joseph Dresden Empey, 20, of Santa Clara, Washington County, and Sister Fanny Clain, 20, of Reunion Island, France, as Sister Clain was departing for her mission in the United States. Each one received burns and other injuries that required recovery time. Sister Clain eventually continued her mission in Ohio. In other missionary news, a new Russian law designed to combat terrorism but also restricts religious organizations resulted in elders and sisters being known as “volunteers” instead of missionaries, the Deseret News reported. In September, the LDS Church changed the assignments of 30 of 77 volunteers who had been learning Russian in the Missionary Training Center. In May, the First Presidency and Quorum of the Twelve Apostles announced a new dress code policy designed to protect the health of missionaries in 230 of more than 400 missions worldwide. The new policy allows sister missionaries serving in countries threatened by mosquito-borne diseases to wear ankle-length dresses and full-length slacks on a geographical and seasonal basis. Earlier this month, the church announced that what had been known as the Family and Church History Headquarters Mission would now be known as the Utah Salt Lake City Headquarter Mission, and that it would have the most missionaries of any mission in the church.